Question: I live in New Jersey and would like to be my own general contractor, and do some of the renovations myself on my home improvement project. 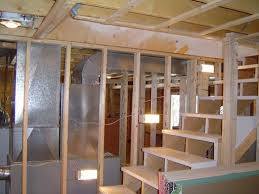 In particular, I want to do some of the construction myself on a new home addition and want to hire subcontractors for some of the tasks that I can not do, or am not allowed to do in the state of New Jersey. Can you explain to me how I go about being my own general contractor and building the addition myself? Answer: A General Contractor basically coordinates the build; pulling permits, hiring the subcontractors for Foundation, Framing, Roofing, Electrical, Plumbing etc. He frequently also obtains the financing through a construction mortgage and disperses payments to the subs as they complete their phases of the project. At the end of the project the General Contractor sells you the home, or transfers ownership to you, and the construction mortgage is converted over to a conventional homeowner mortgage. You can be your own general contractor, however, banks are hesitant in giving out construction mortgages to “part-time” general contractors, so unless you have the finances to fund the project yourself you may run into some problems getting the construction mortgage. A good documented plan (architectural drawings, costs fully fleshed out, a timetable/schedule for the building of the home or addition, and subcontractors identified) can be helpful however in getting over this hurdle. In regards to actually doing the work, you should check with your local municipality building inspector. Plumbing and Electrical can sometimes be a problem as frequently building inspectors require licensed contractors to do this work. From my experience, doing your own framing, insulation, roofing, flooring, interior trim work can all be done by the homeowner. When you submit your plans to the building inspector they should clearly spell out / show what you are planning to build. They should include drawings of cross-sectional views of the construction and what type of material will be used. You will also need approved septic design plans and inspections for a septic system if your home will not be on municipal sewage. Note: a septic design can take 2-3 months to complete, so plan early.